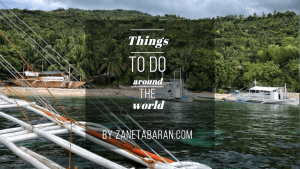 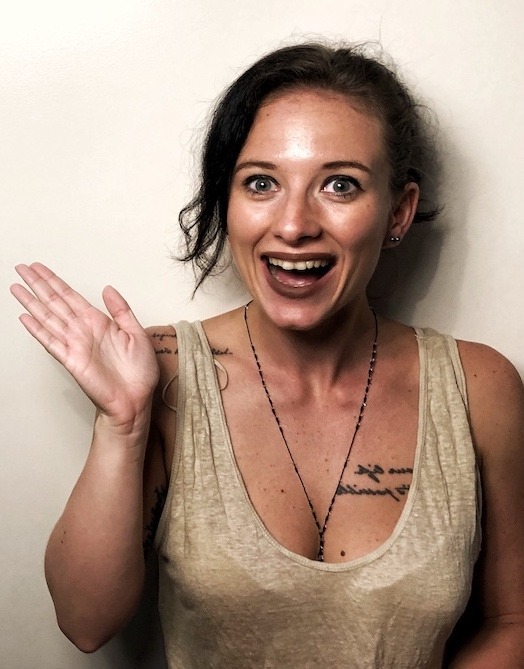 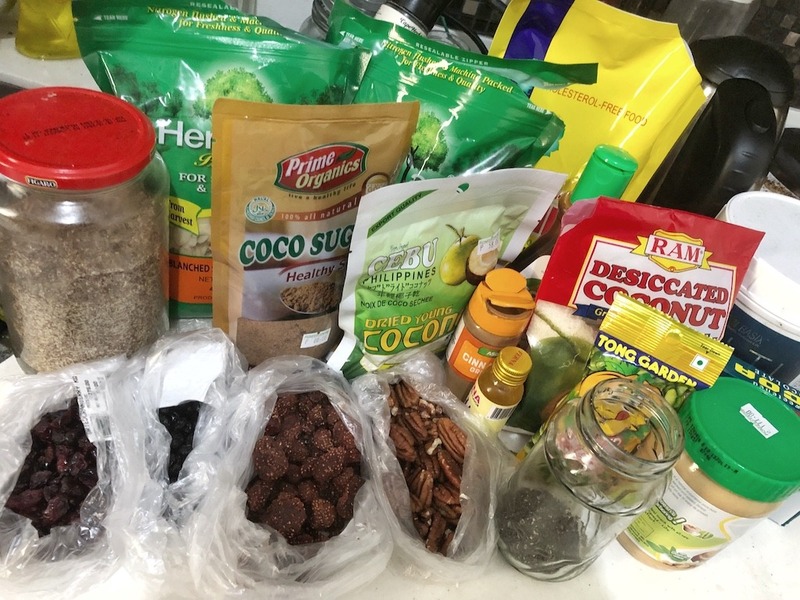 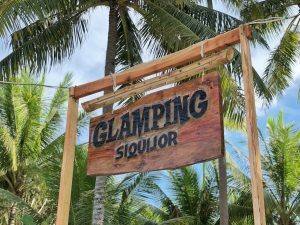 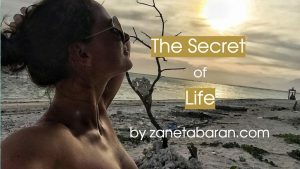 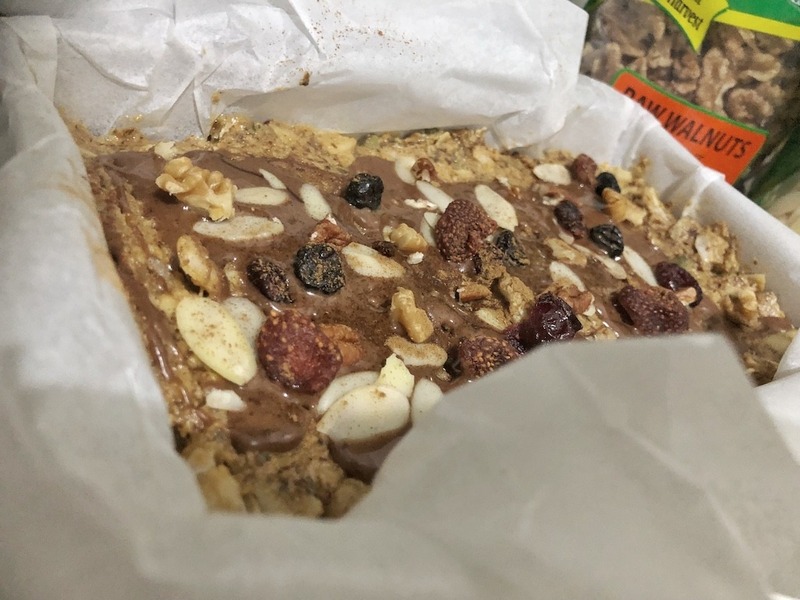 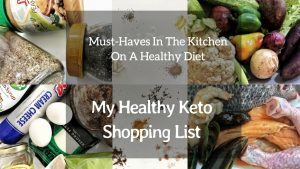 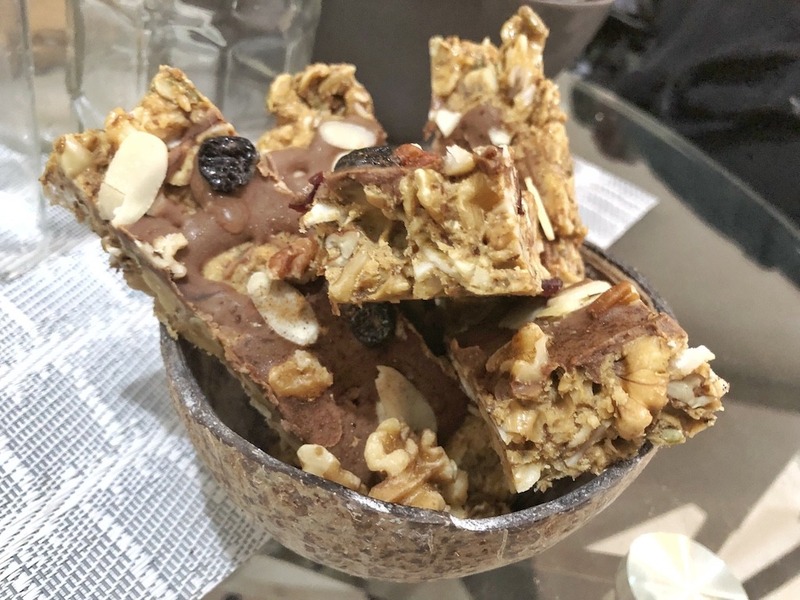 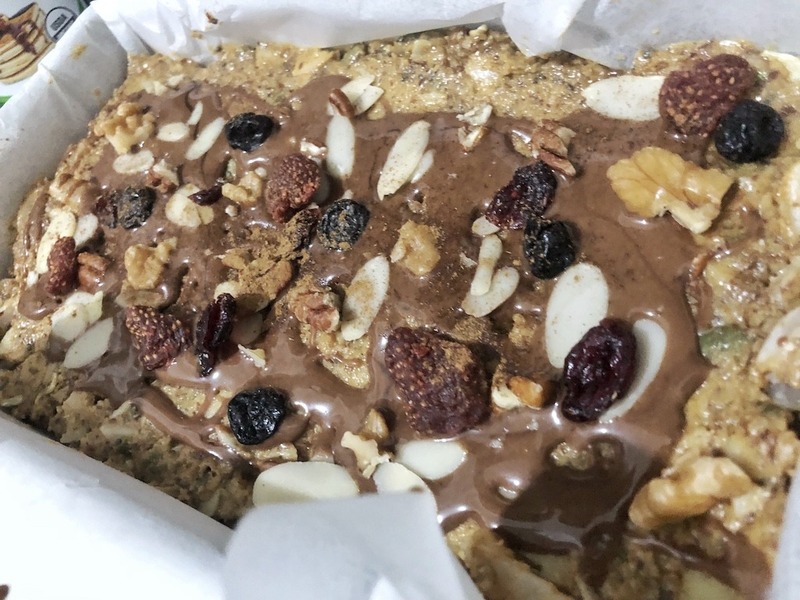 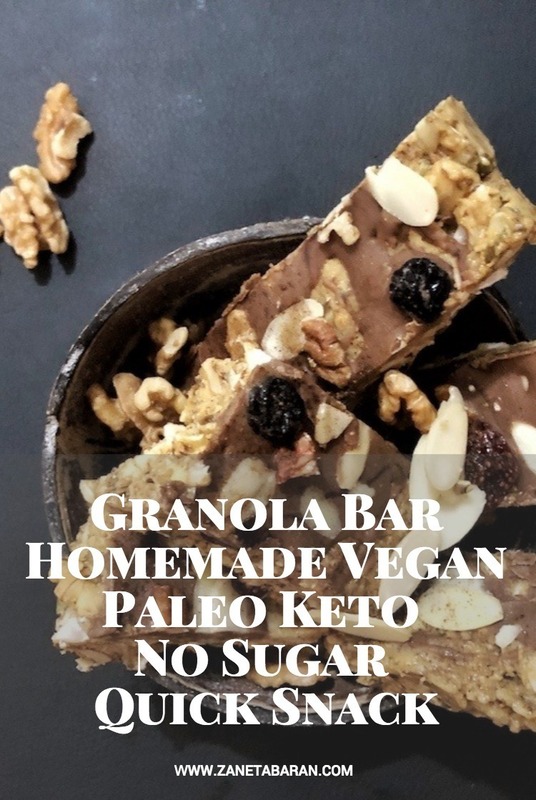 How to make homemade, vegan, paleo, keto, sugar free, granola bar? 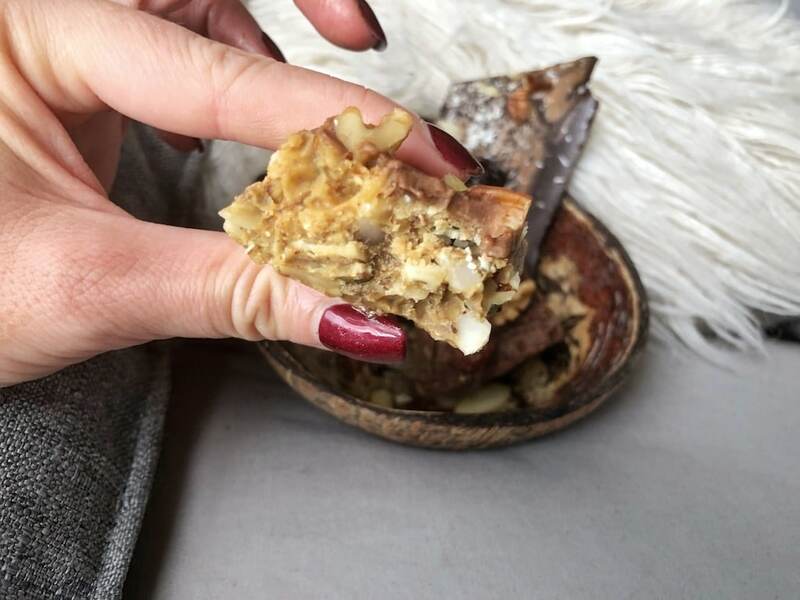 I love nuts bars, I could eat them every day. 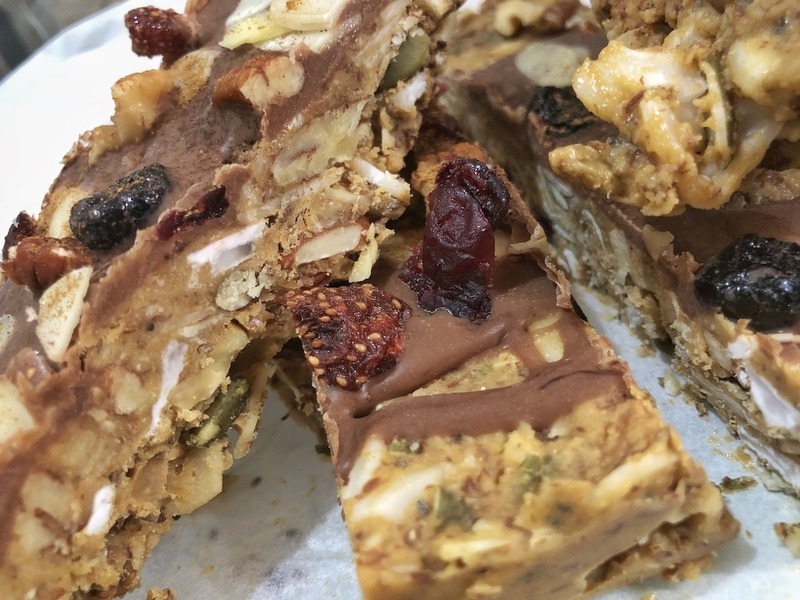 However, most of the granola bars in the stores have sugar added. 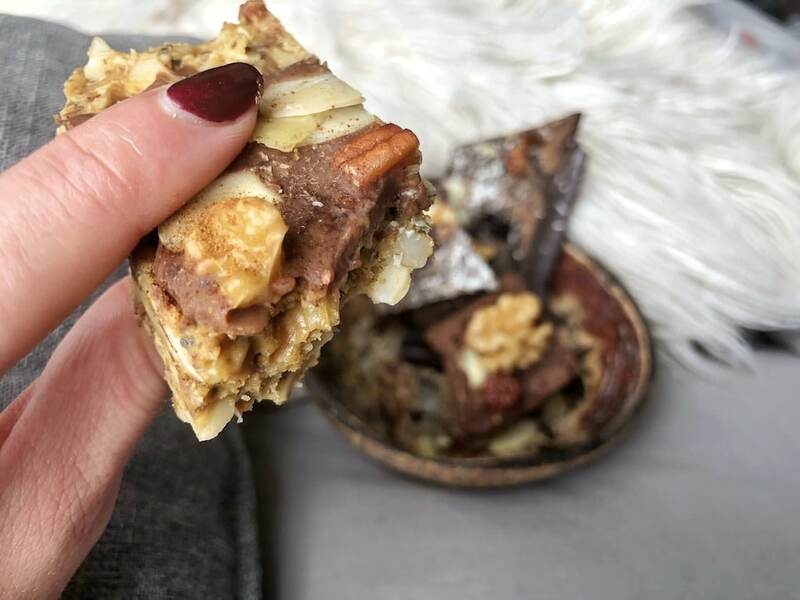 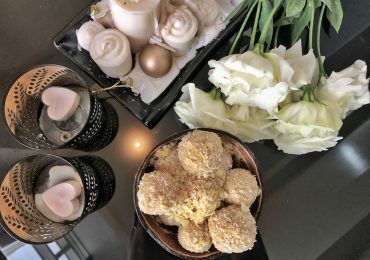 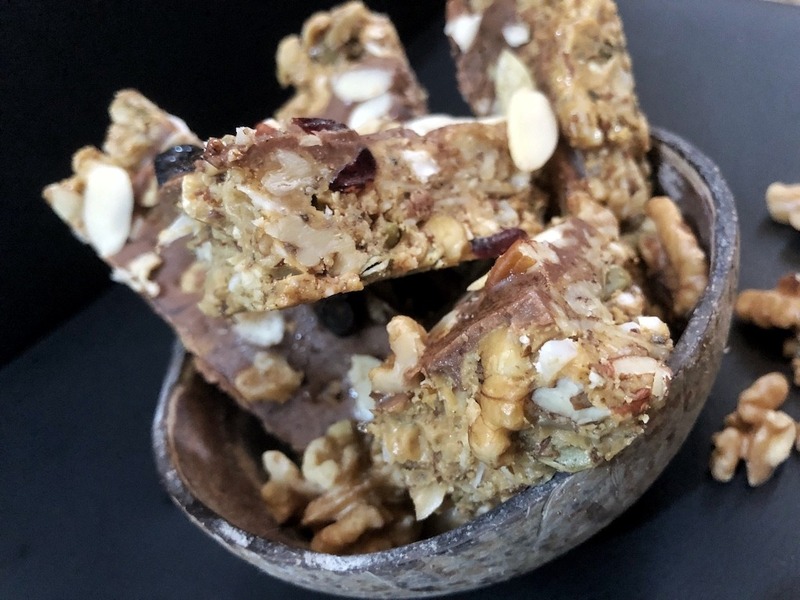 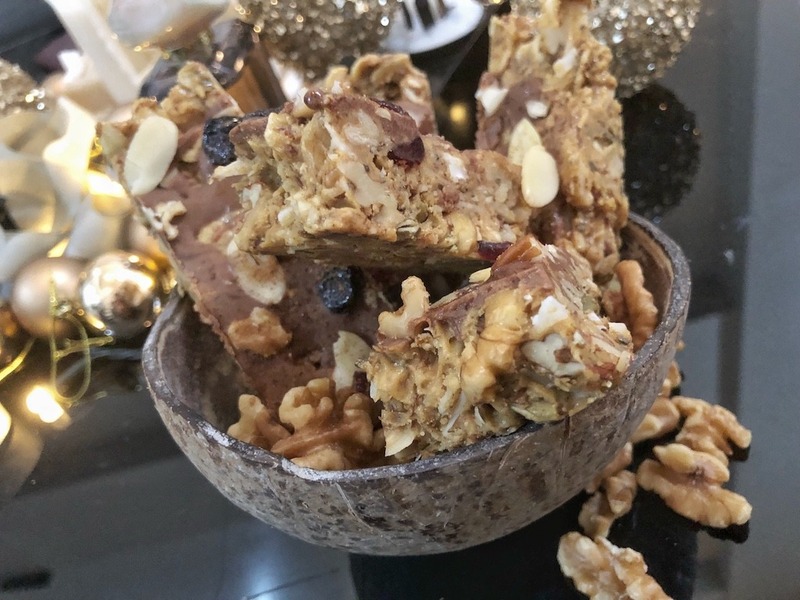 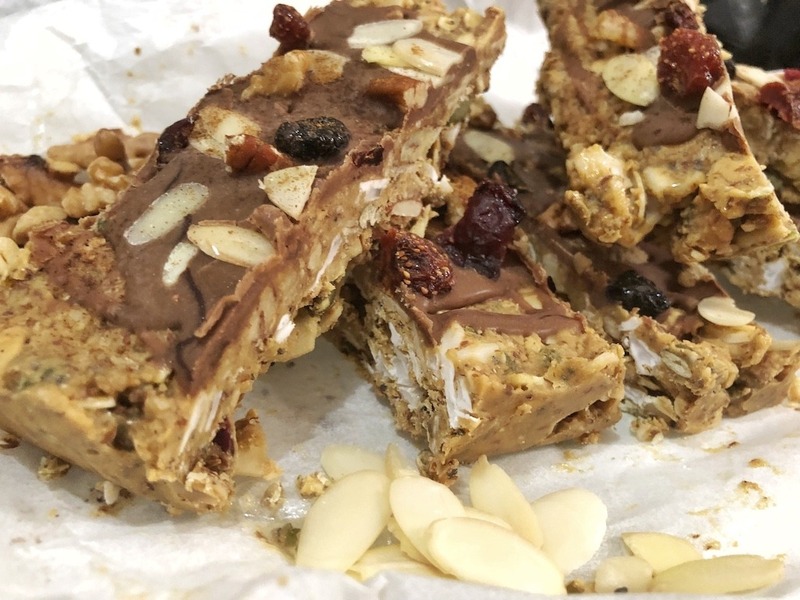 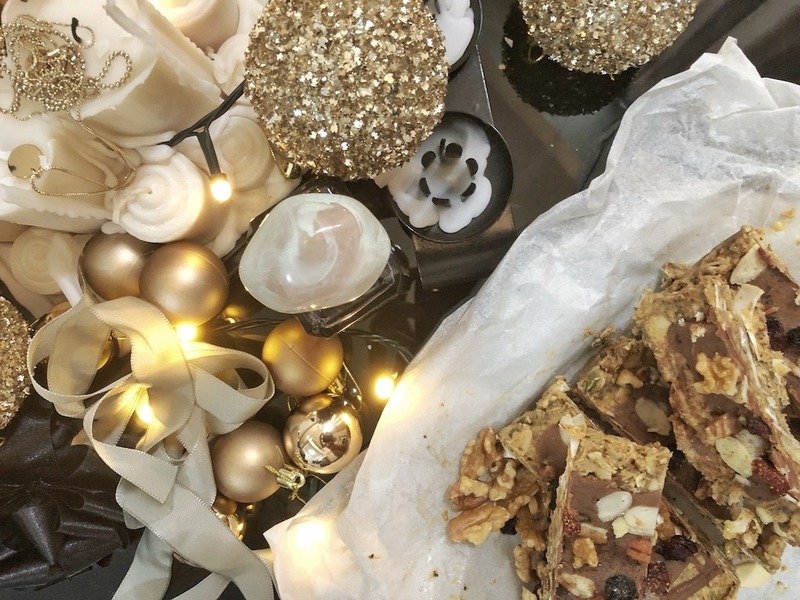 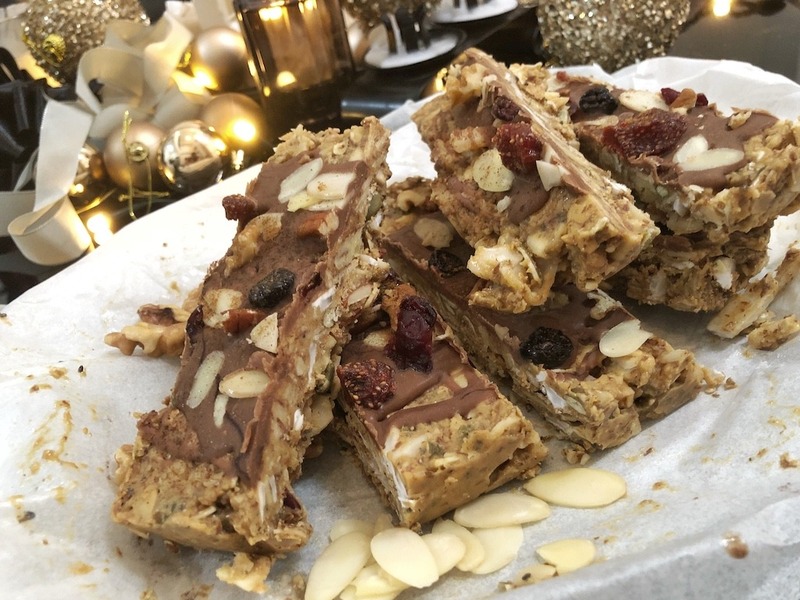 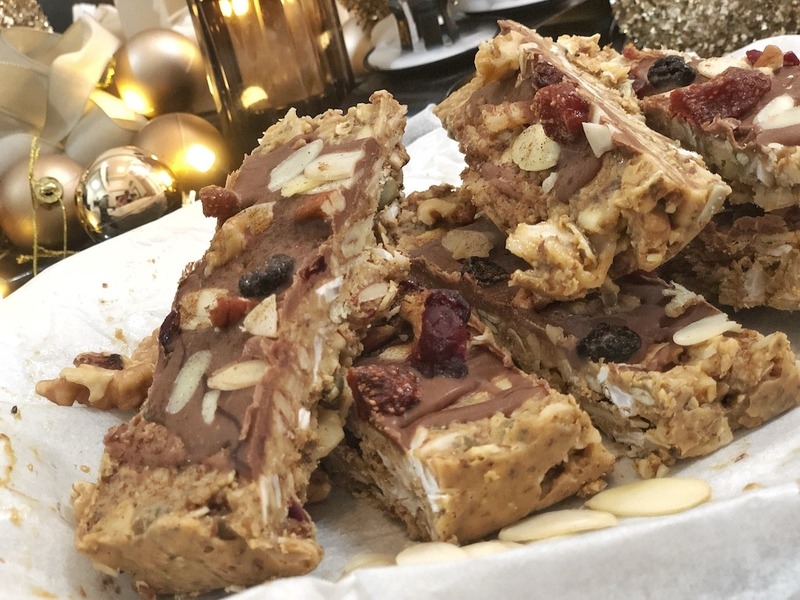 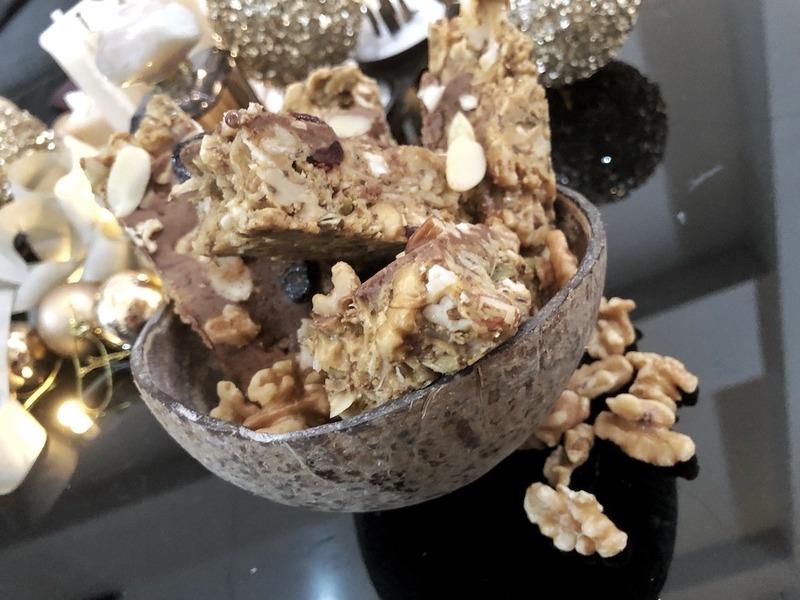 I decided to show you a healthy and quick version of these nut bars. 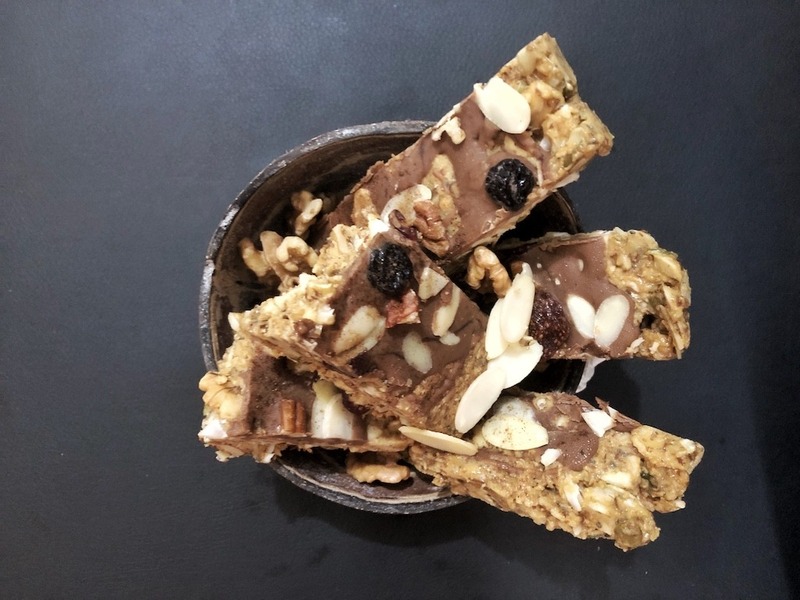 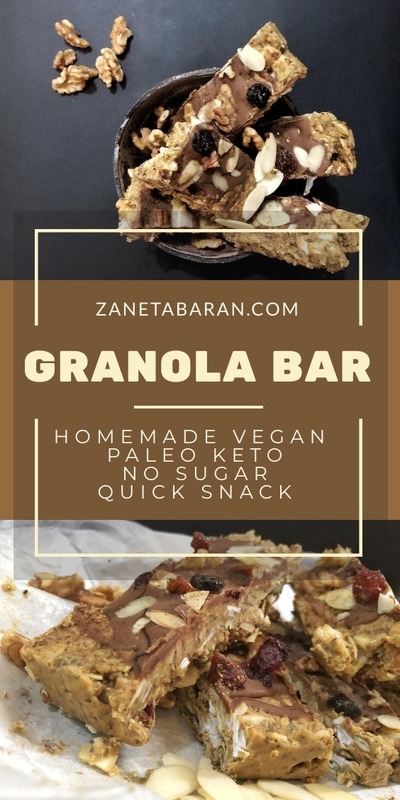 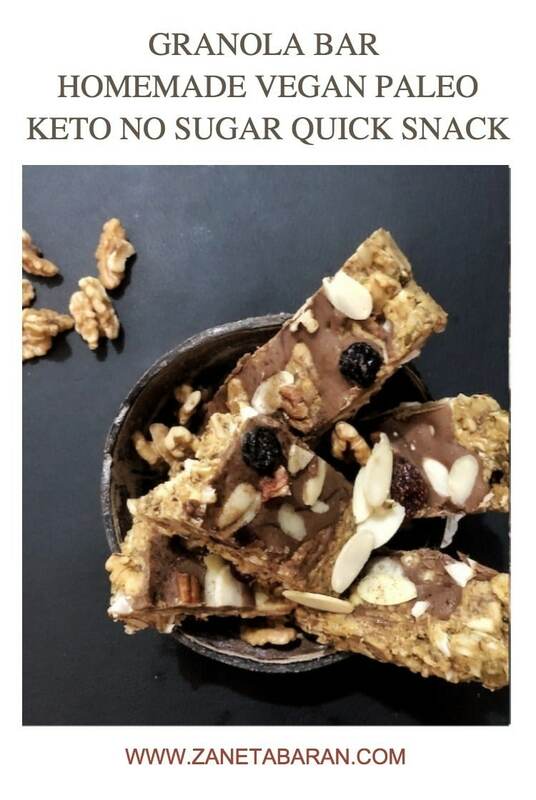 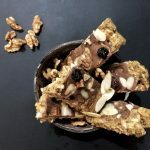 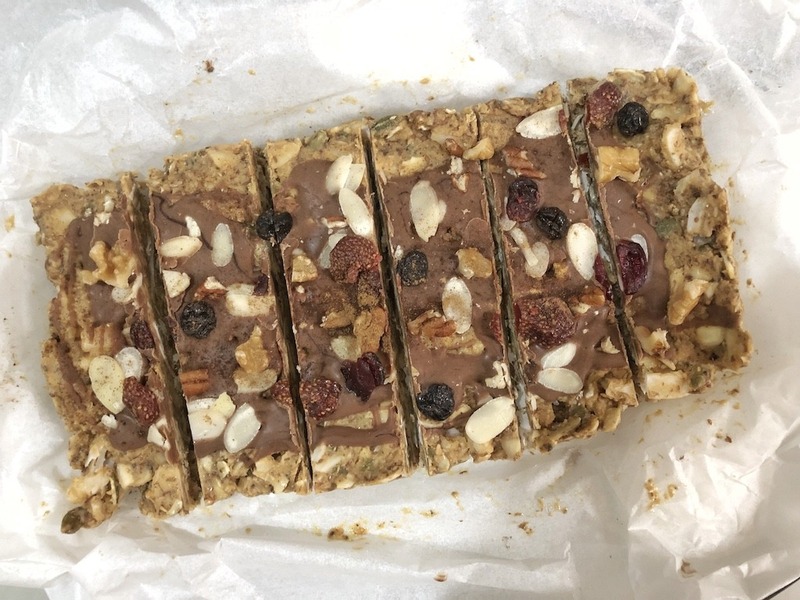 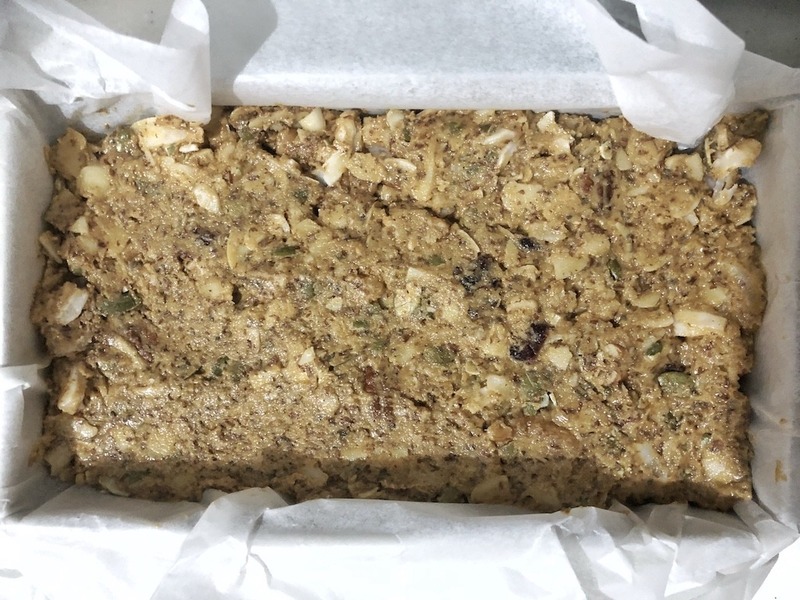 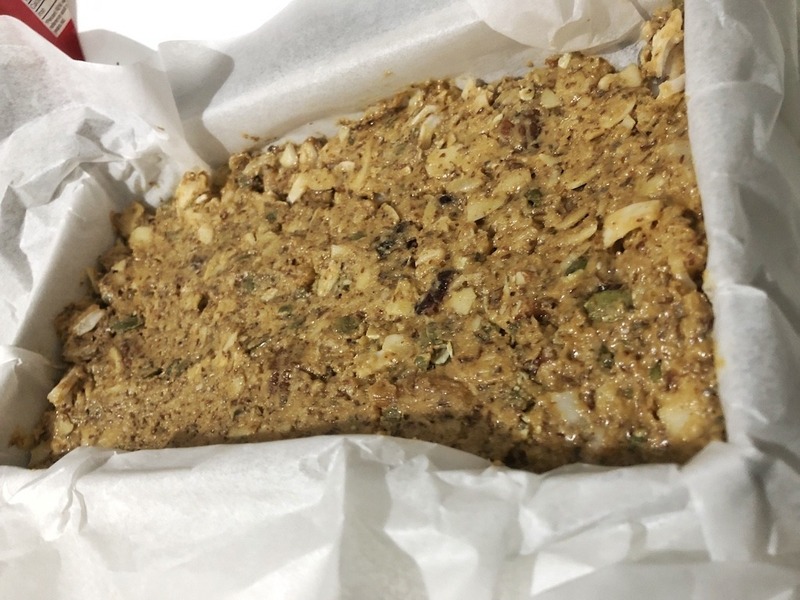 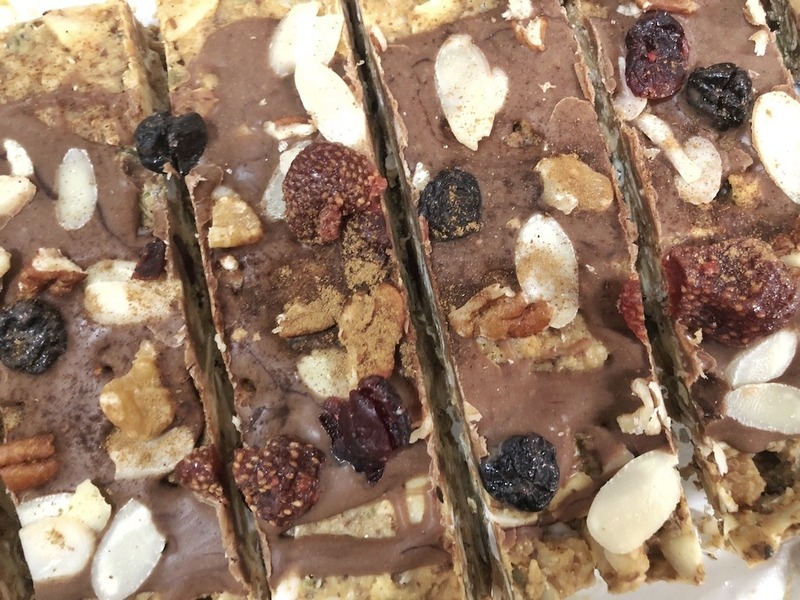 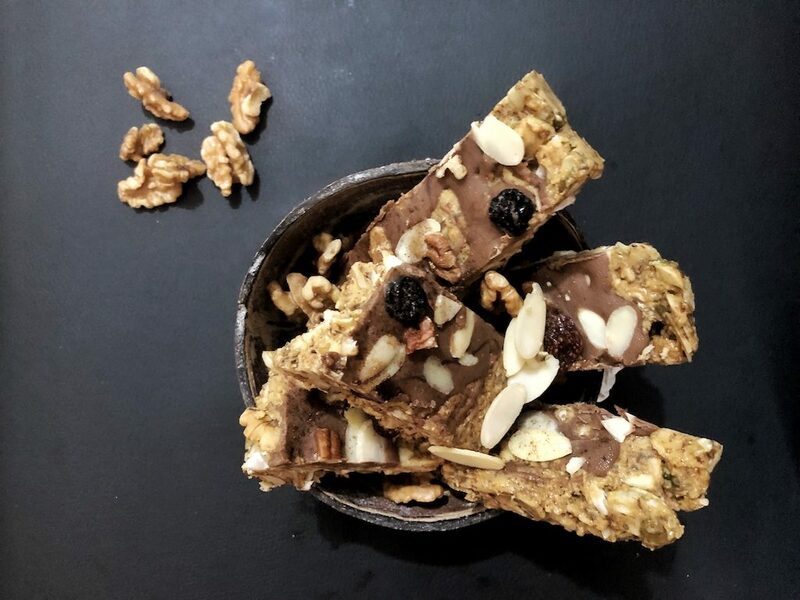 It is a homemade, vegan, paleo, keto, sugar free, granola bar, perfect for you or your kids lunchbox. 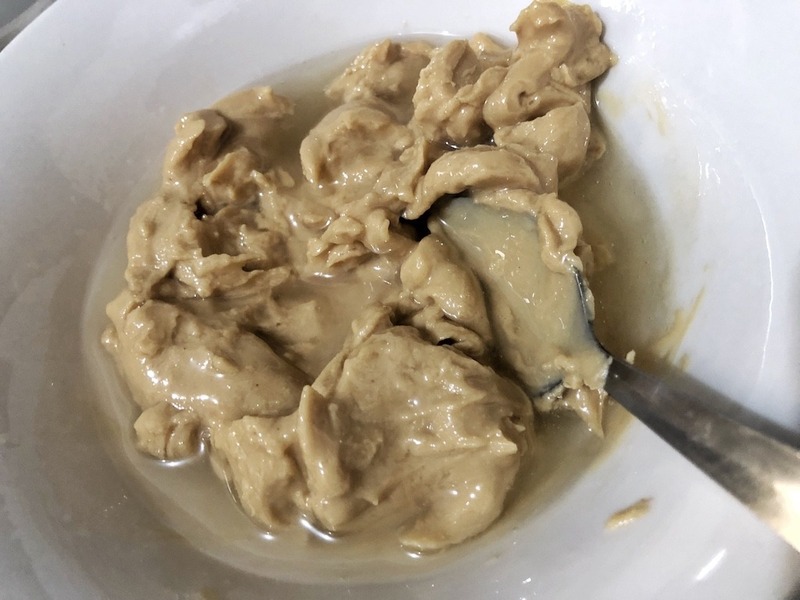 Add peanut butter, collagen, 2 tablespoons of coconut oil, coco syrup or sweetener, vanilla extract and cinnamon to the bowl. 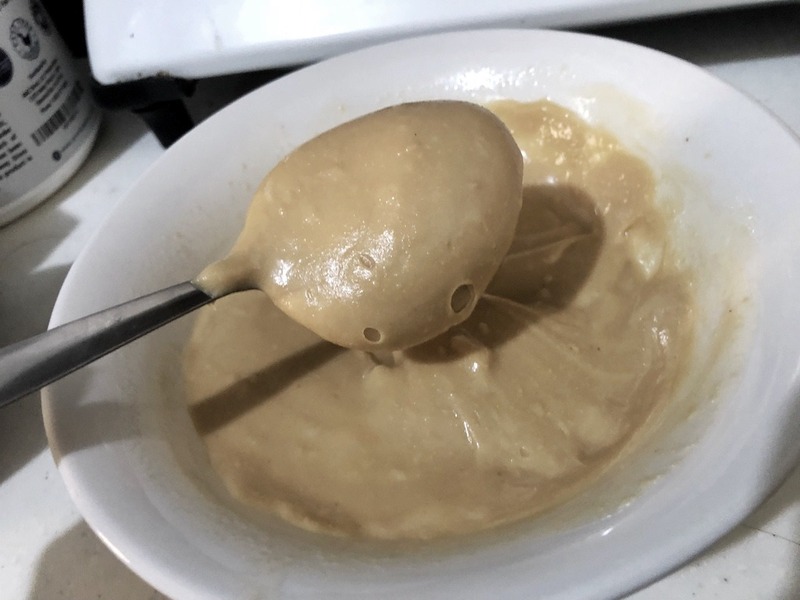 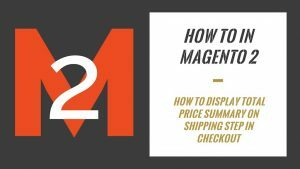 Microwave for 1 minute, mix in the middle of this time, after around 30 seconds and continue microwaving. 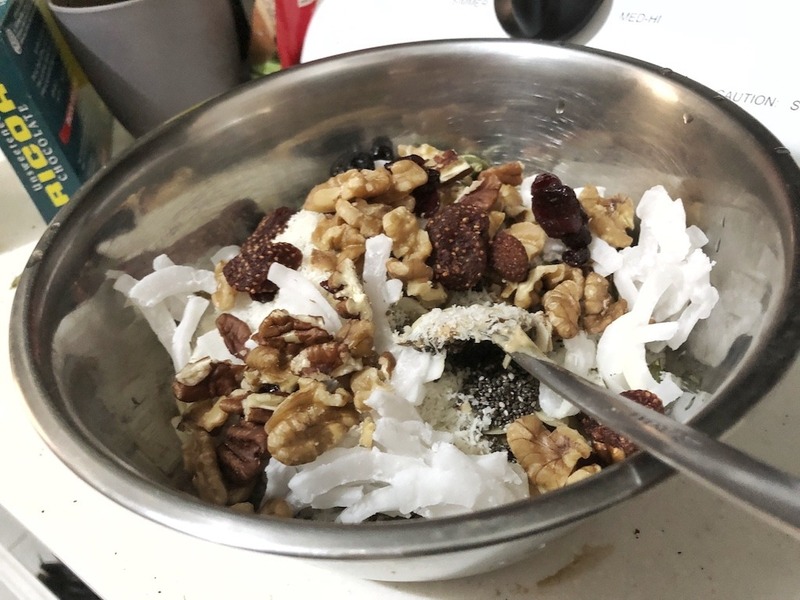 Add all nuts, fruits, seeds and mix together till smooth. 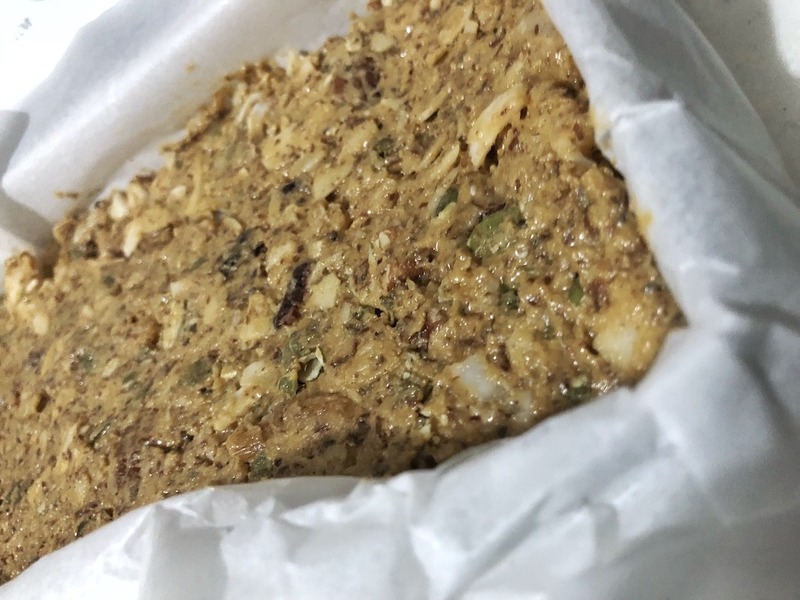 Line baking paper onto the pan and spread mixture on it. 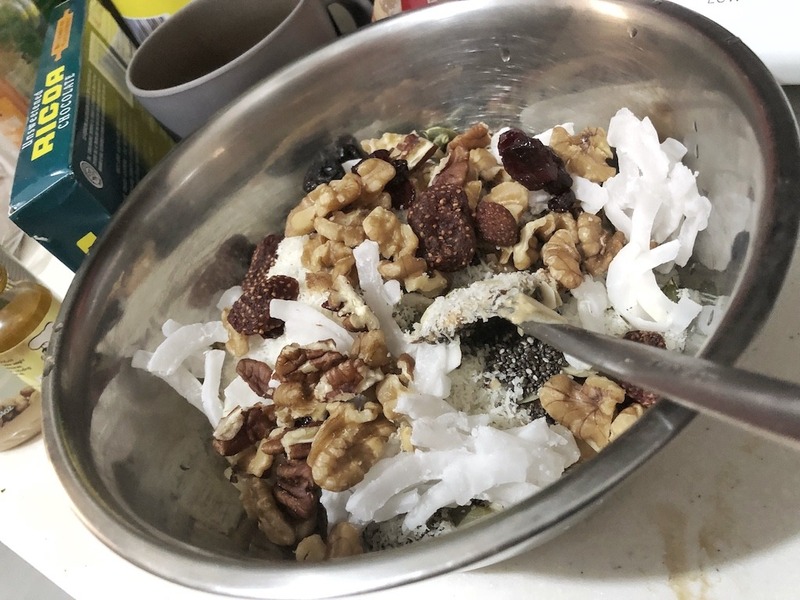 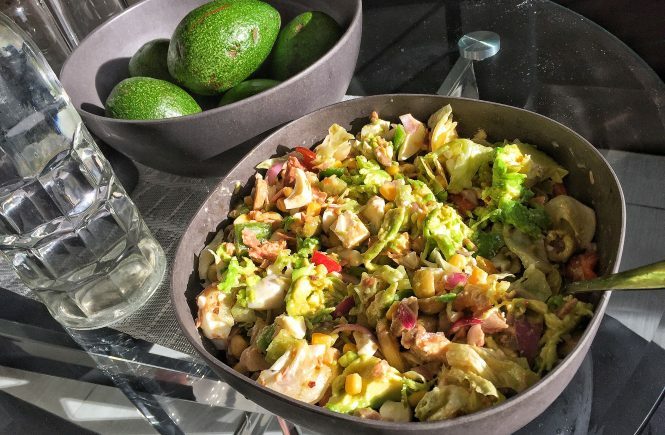 In the bowl mix together ingredients for topping. 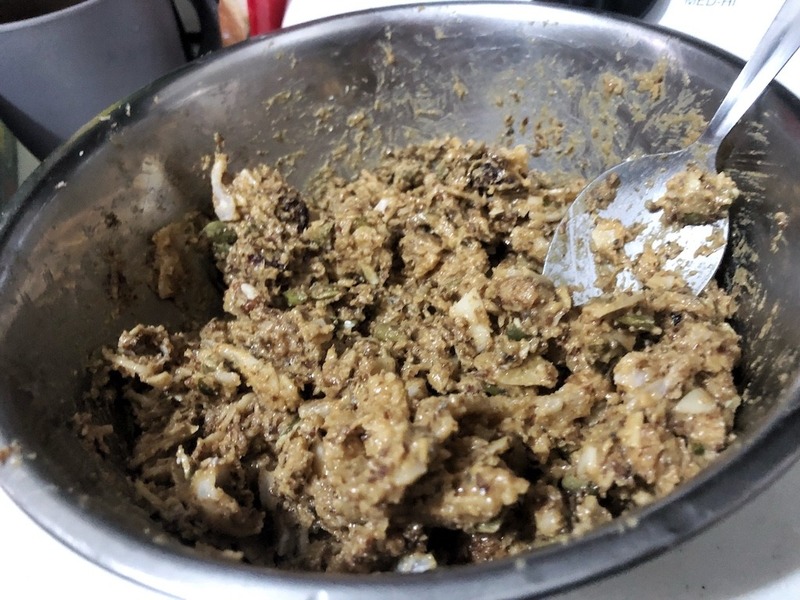 Get base from the freezer and spread topping all over the top. 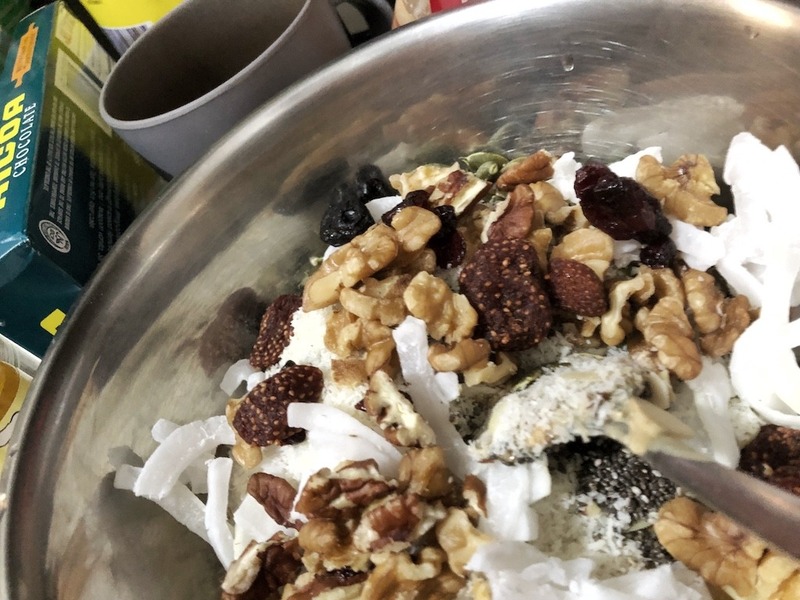 Add some nuts on the top. 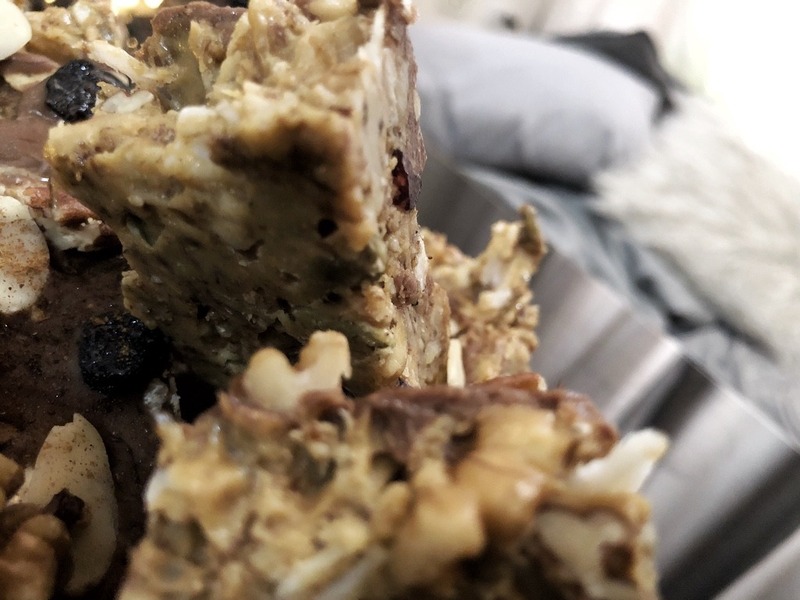 I love nuts bars, I could eat them every day. 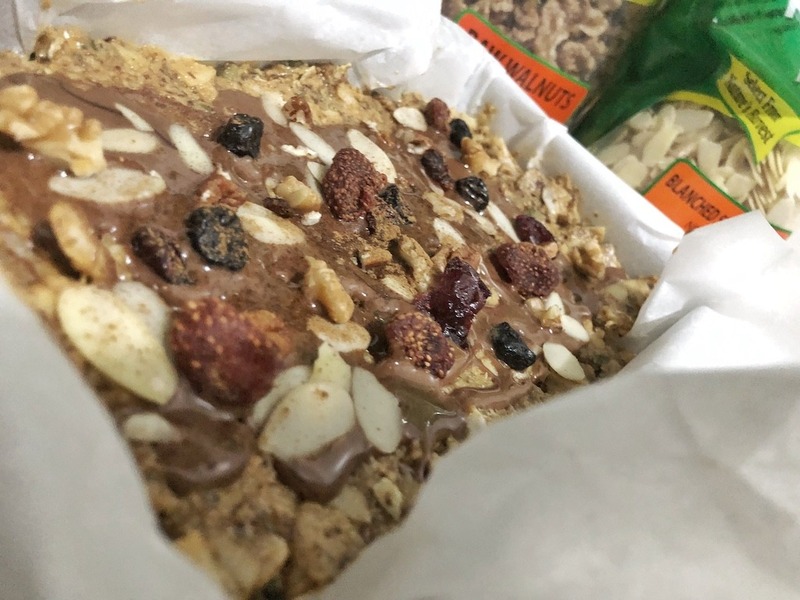 However, most of the granola bars in the stores have sugar added. 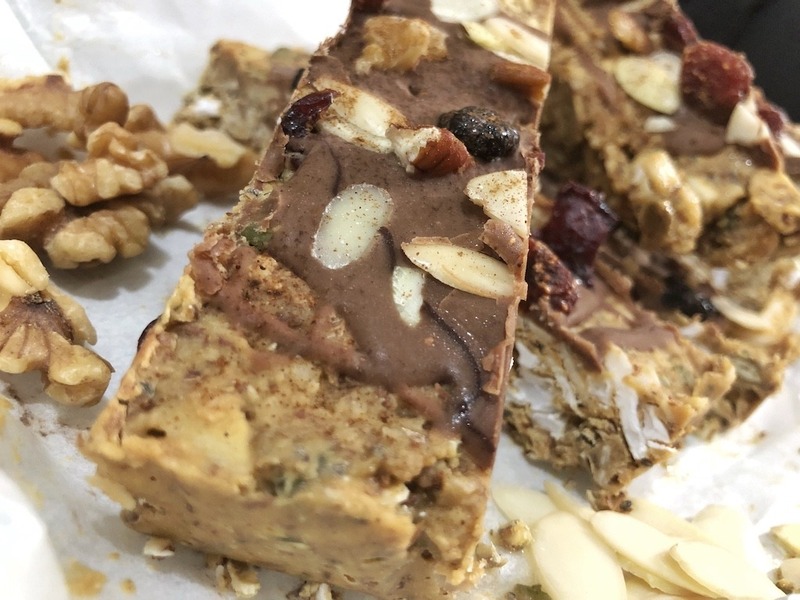 I decided to show you a healthy and quick version of these nut bars. 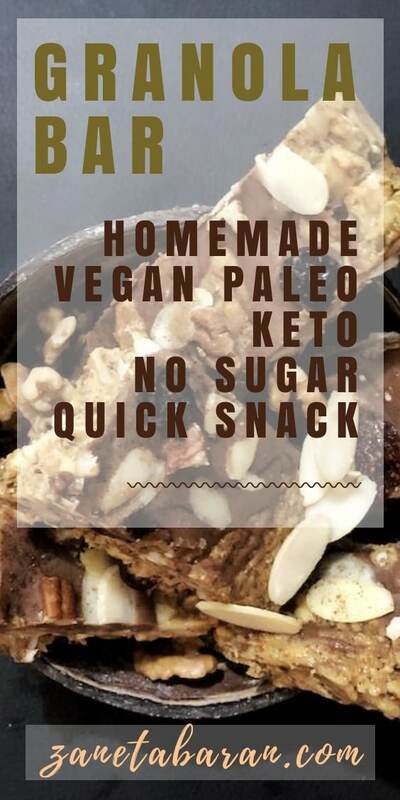 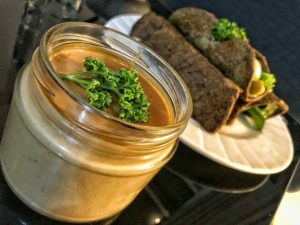 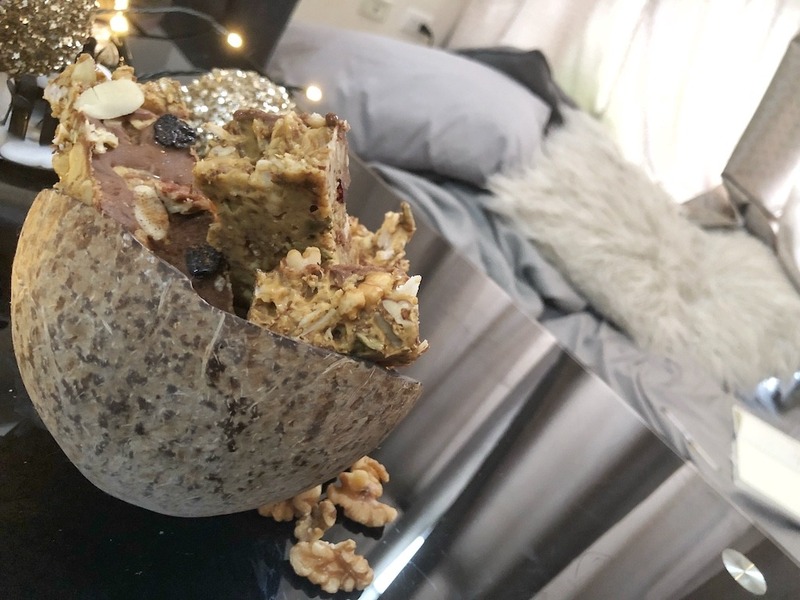 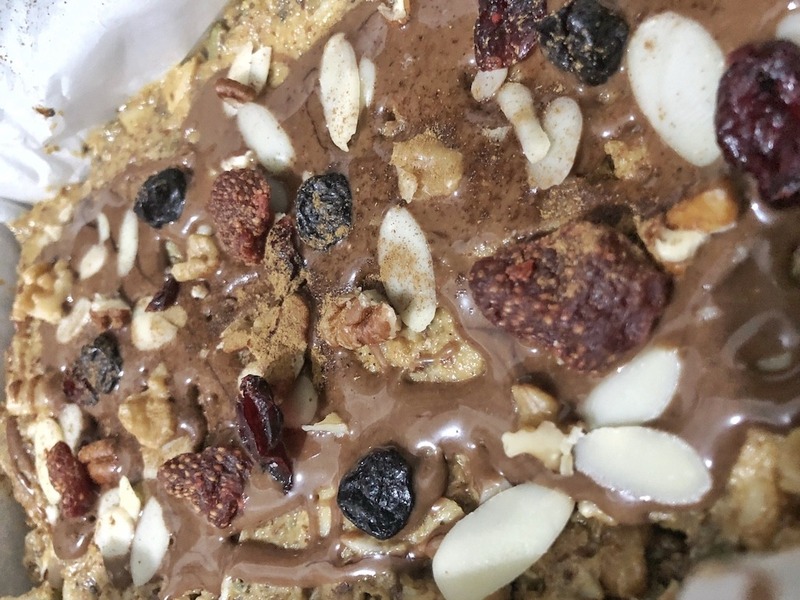 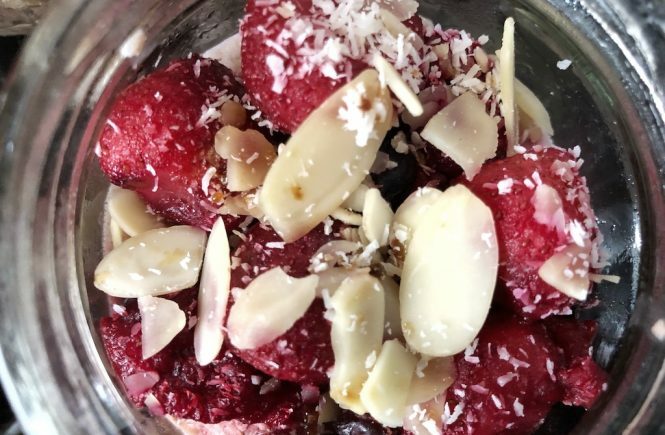 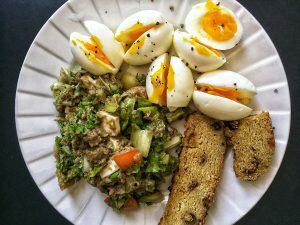 It is a vegan, paleo and keto dessert, perfect for you or your kids lunchbox.